Son of the premier colonial portraitist Charles Willson Peale (1741–1825), Rembrandt Peale was a well established painter in his own right. 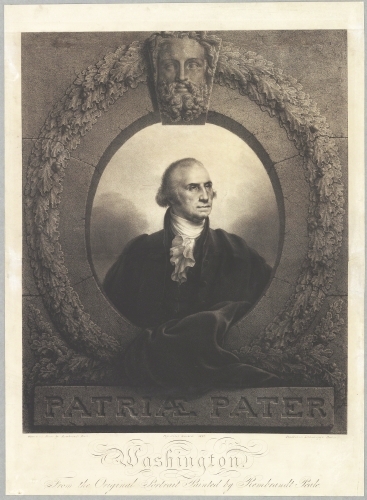 The period following the death of our first president (1799), was a period of extreme longing for the early days of the early Republic (1787–1800). George Washington was a universal symbol of American heritage, and his portrait was copied over and over through the late 1800s. They also appeared in courthouses and public buildings throughout the US. The new American republic was obsessed with the idea that it was the first democratic country since ancient Greece. 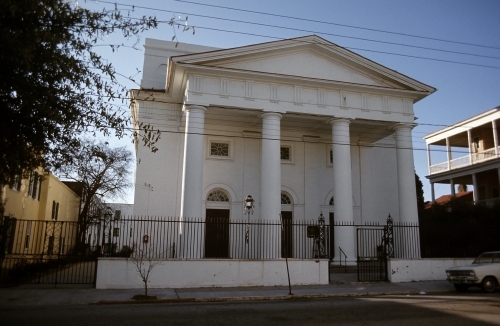 Therefore, architecture reflected this idea in the Greek Revival style, which flourished between 1820 and 1860. This was a period when many of the government buildings of the capital were built. 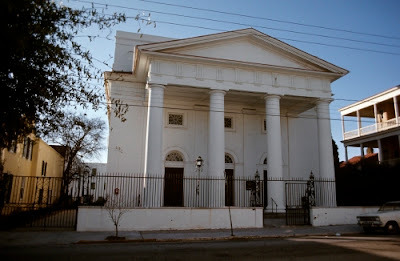 However, the style was popular way beyond Washington, and can be found in cities up and down the East Coast from the period before the Civil War (1860–1865). Many southern country houses (plantations) were in the Greek Revival style. 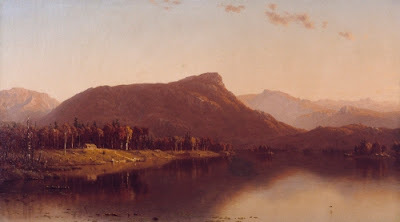 The Hudson River School is not technically a school but a group of artists who painted landscapes of the Hudson River valley and parts of New England. Americans of the early part of our country were proud of the vast, unique wilderness of the Northeast. The romantic-realist depictions of specific locations were documentation of a “wilderness” that was fast disappearing under settlement and clearing of the original forests. This painting dates from after the Civil War and reflects a longing to return to the time when the American wilderness was actually a sparsely populated wilderness. 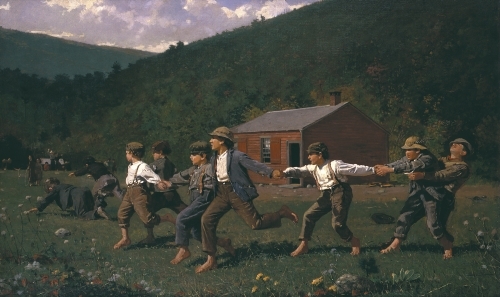 No other American artist better represents nostalgia than Winslow Homer. Having documented the horrors of the Civil War for Harper’s Weekly magazine, his works from the 1870s retreat to bucolic scenes from America of before the war. Americans wanted to forget the horror that was the Civil War, and remember the “good old days” of pre-war America in innocent scenes such as this schoolyard frolic. After the ten-week Spanish-American War in 1898—the US’s first international war fought in the Caribbean and Pacific—Coney Island in New York boomed as a place to forget the horrors of international war. It was once again a “return” to the halcyon days after the Civil War. 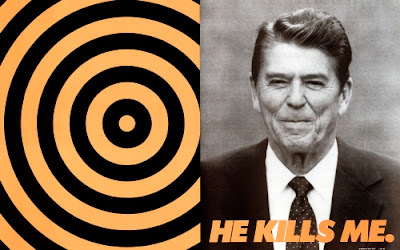 Unfortunately, World War I (1914–1918) interrupted the nostalgia. 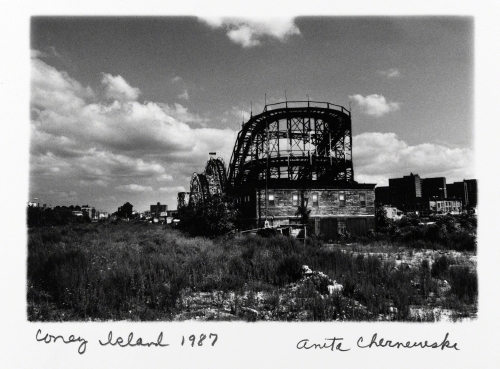 After World War I Coney Island slowly declined in attendance. By the 1960s many of the original attractions had closed. Studio activity: A scene from a happy time from the past. Use a pencil to sketch the scene and fill it in with markers or crayons. Emphasize showing people and objects near and far away. The farther way the people are the smaller they should appear (same for buildings, tress, etc. ).